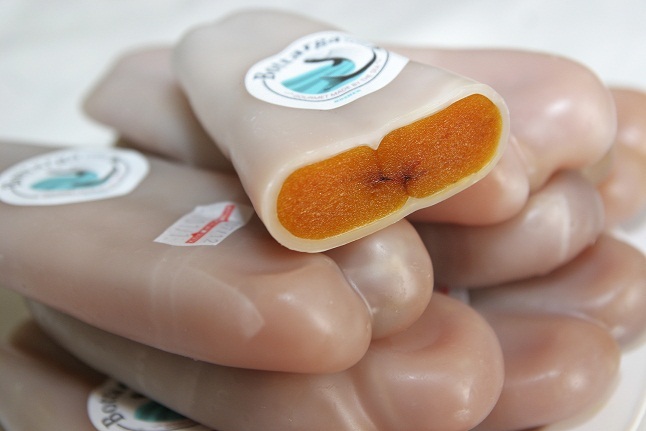 The Bottarga are waxed fish roe that are particularly tasty, but how many varieties are there? Today, it is possible to get very special type of dried fish roe. If until today you haven’t come across with the phenomenon of dried fish roe, it is important to know it does exist-and it is very tasty as well, and can be a great substitute for other fish roe such as caviar and Ikra. The Gregorian name of the dried fish roe is Botargo. The Botargo is actually a very unique method of preparation of dried fish roe, after salting and drying, and finally spreading them with beeswax-which is what creates the unique taste. Of course before serving the dried fish roe, the wax needs to be peeled off. In any case, we want to introduce to you a few different types of dried fish roe Bottarga style, in order for you to understand what type of fish we are talking about. Kosher and tasty! The main advantage of dried fish roe that are being served as a Bottarga, is that most of them are related. As you know, other fish roe such as caviar did not become especially popular in the country for two reasons: their high price (indeed the price of dried fish roe is much cheaper) and for the fact that they are not kosher. This led to the fact that while trying to find kosher caviar the taste was not of caviar. On the other hand, in the case of dried fish roe there is no need to compromise! The different kinds of the Bottarga, almost all of them are absolutely kosher. That is why if you go to a Jewish kosher restaurants in Europe, especially in Italy and Greece, you will be able to see plenty of different varieties of dried fish roe, that make a great replacement and not any less tasty compared to caviar which is not kosher. There are three main types of fish from which Bottarga is prepared: Molly, Tuna and Mullet. These three types of fish are obviously kosher, and therefore the dried fish roe that are prepared from these fish are kosher as well. In addition to the kashrut of these fish we should look at their extra characteristics. These are common fish in the Mediterranean. Why is that important? This way many types of dried fish roe are cheaper than caviar. It is important to understand that dried fish roe are not very cheap, but they are definitely a sane option economically speaking for whoever wants a unique taste to consume or service to other people. The different types of dried fish roe Bottarga style are not so different in taste, and eventually they all go through the same process of salting and drying, which gives them their unique taste.